Milo believes he has found a secret diary that can lead him to the mysterious island of Atlantis. 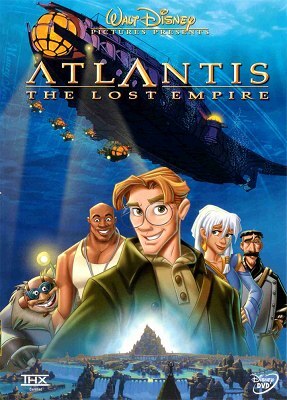 Although he fails in getting some funds from a museum, a rich man offers him to lead an expedition to find the island of Atlantis. Milo, Vinny, Mole, Dr. Sweet, Mrs. Packard, Audrey and Cookie form the expedition, and they hold a wide range of skills. After following the instructions decoded from the diary, they reach to the city of Atlantis. Once there they find out that not only some of the villagers are still alive, but they look remarkable young.